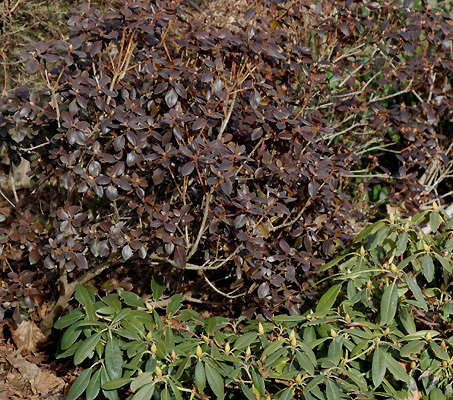 Broadleaf evergreen shrub, 3-6 ft (0.9-1.8 m), rounded in outline. 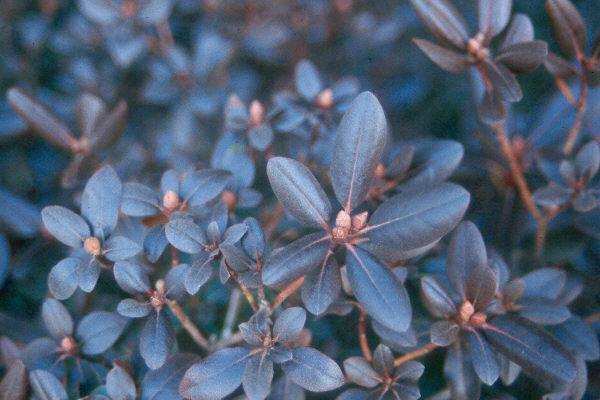 Leaves alternate, simple, small, 2.5-6.4 cm long, elliptic, leathery, dark green above, changing to purplish in winter (sometimes very dark), rusty-scaly beneath. Blooms early (too early??) 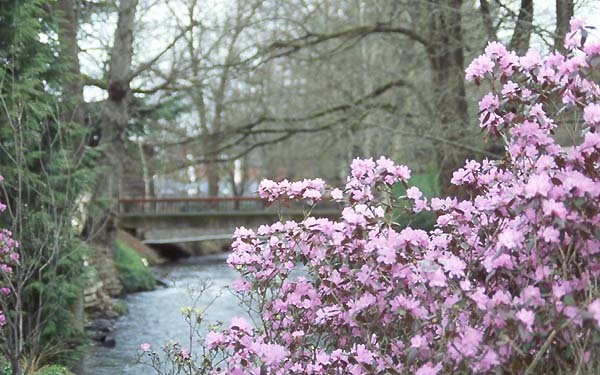 in the season, about the same time as Forsythia, flowers are a bright lavender pink. Many blooms every year, sets little or no seed. 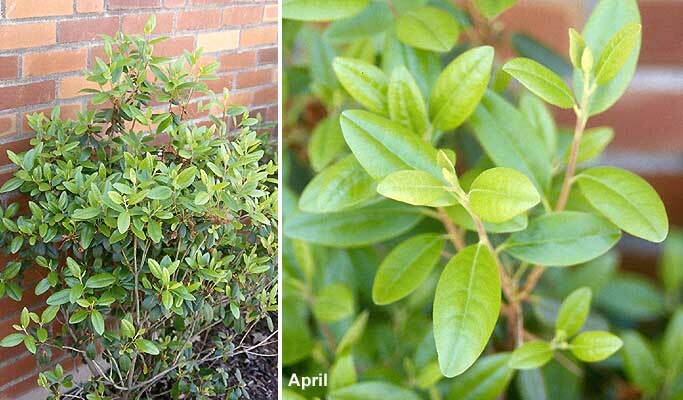 Quality rating: 4/4/4 [flower / plant & foliage / performance; scale 1 (poor) - 5 (best)]. 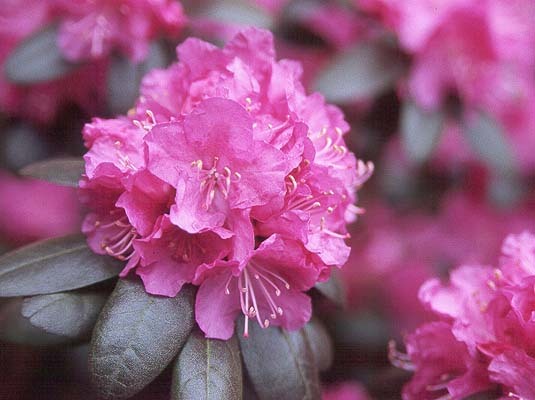 Cold hardy and tolerant of heat and sun. Partial shade. Hardy to USDA Zone 4 Originated in Massachusetts in 1943. 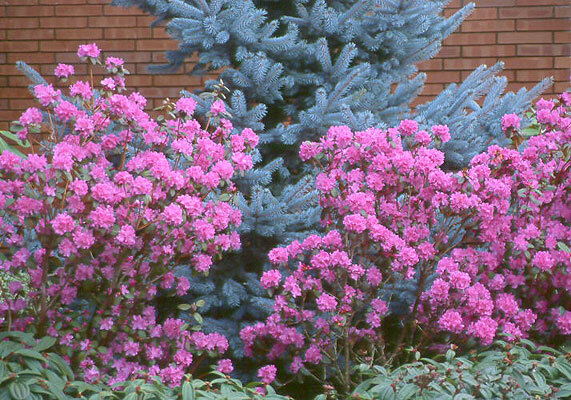 Actually a group of hybrids resulting from crosses between R. carolinianum and R. dauricum var. sempervirens, so expect some differences in flower and leaf color. 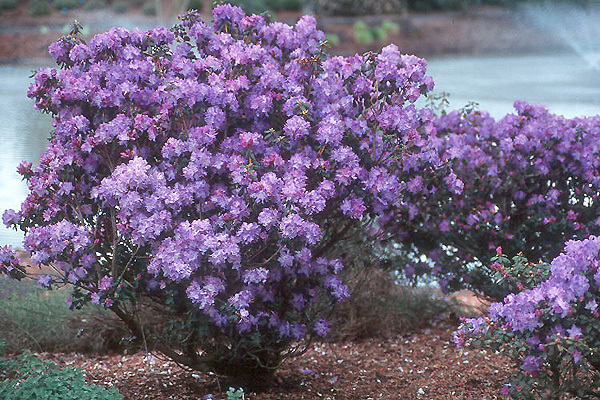 In Greer's Guidebook to Available Rhododendrons (1996, p. 180), seven PJM's are listed. 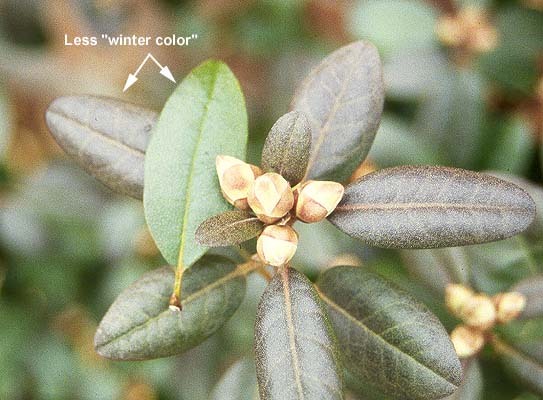 Some types are selected for their dark leaves in winter. Oregon State Univ. campus: east side of University Theaters (Withycombe).